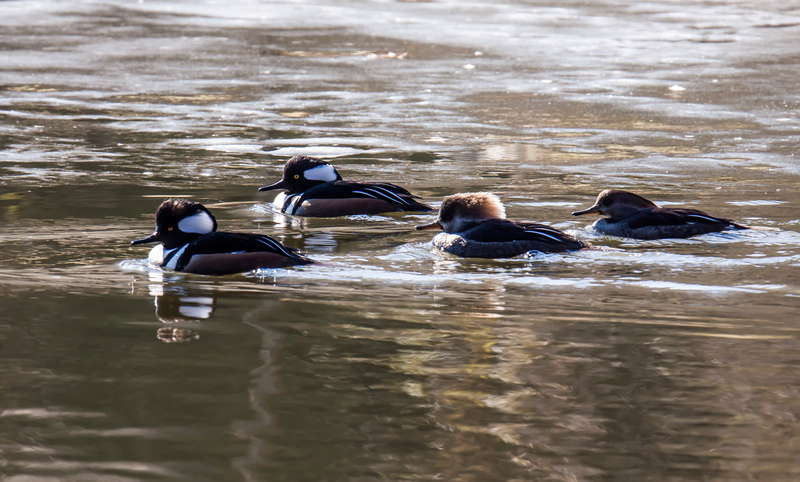 These Hooded Merganser (Lophodytes cucullatus) couples appeared to be on a double date when I spotted them earlier this week at a little suburban pond near where I live. It is now getting to be that time of the year when more and more birds are pairing off. I took a lot of shots these ducks as they swam by and this is one of the few photos in which all four heads are visible and facing in the same direction. No matter whether you are photographing animals, birds, or people, it is always a challenge to take a group photograph in which all subjects have pleasing poses.. 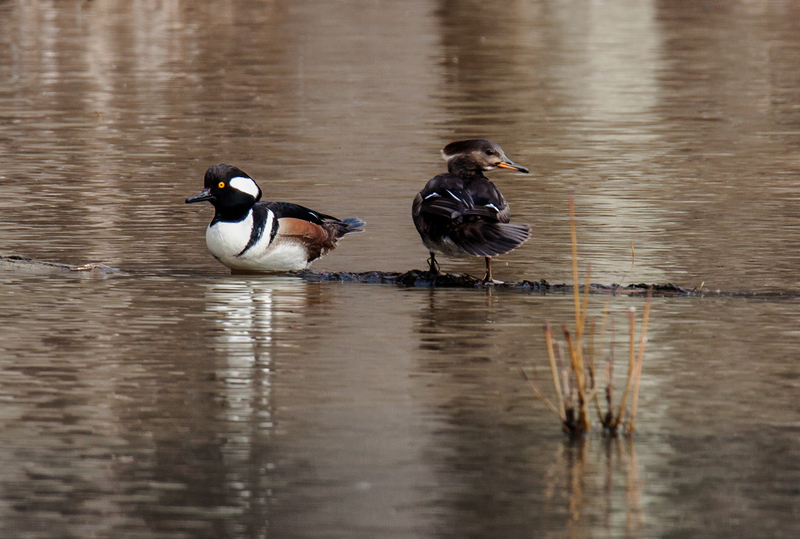 While I was at Huntley Meadows Park on Wednesday, I spotted this Hooded Merganser (Lophodytes cucullatus) couple perched on a semi-submerged log, relaxing and preening their feathers. These small ducks have such an unusual and distinctive look that it is hard for me to ignore them whenever I am fortunate to spot them—often they spot me first and my first indication of their presence is when they are flying away from me.